In "1 Kings" 15:25-16:34, we find summarised the reign of six of Israel's kings. Each disregarded God and His laws, and the vast majority of the people followed their evil example. By far the worst was the last, Ahab, who gave the people official sanction to worship both God and the weather and fertility god, Baal. Into this situation God sent His prophet Elijah in order to radically change the nation's view of false gods and to urge them to worship only the true God. We may wish we had men and women as gifted as Elijah today, to challenge society's increasingly hostile and sometimes indifferent attitude to God and His Word. Yet Elijah was a man 'just like us', and his life can teach us much about what God can achieve through an ordinary person who desires and is determined to serve Him. 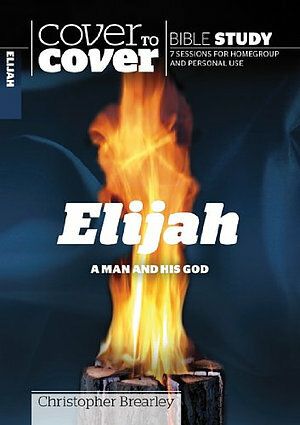 This Elijah is one of 40 titles in this "Cover to Cover Bible Study Guide" series. Each consists of 7 sessions, which includes icebreakers, prayers and notes for leaders. The Guide is ideal for Group or Individual study. Elijah A Man And His God by Christopher Brearley was published by CWR in November 2010 and is our 18082nd best seller. The ISBN for Elijah A Man And His God is 9781853455759. Be the first to review Elijah A Man And His God! Got a question? No problem! Just click here to ask us about Elijah A Man And His God.